You can either read, preview, buy or download over 1500 publications, including museum catalogs, from the Metropolitan Museum! Many can be read for free. 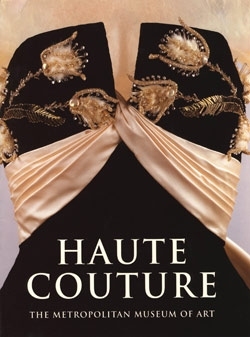 Metropolitan Museum Publication: Haute Couture. Read it online. Click here to go to the Met’s Publications website. (1556 results from all departments.) And “Thank You!” to the Met and all the other museums which are generously photographing and digitizing their collections. 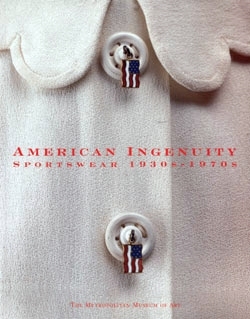 American Ingenuity: Sportswear can be read online from Metropolitan Publications. You can narrow your search at the Met Publications site; for instance, I got 55 results when I limited my search to The Costume Institute (click here), and 47 when I asked for Exhibition Catalogs and The Costume Institute. (Click here.) 25 of those catalogs can be read online. 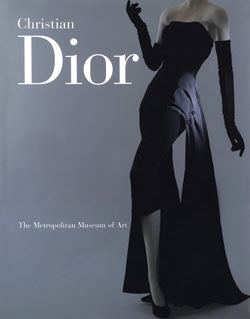 Christian Dior exhibition catalog, can be read online at MetPublications. You may also want to limit your search by Format: books that can be read online, or those that can be downloaded, or those that can be printed in pdf format. Some have to be purchased, but often you can read a generous preview. 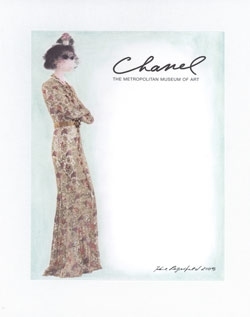 Chanel, from Metropolitan Museum Publications. The Met will give you a link to libraries that have a copy. When I hear about a great resource, I usually add it to the sidebar on the right under Sites With Great Information. (Scroll down till you see it.) If you hover over the name of a site, you’ll get a description of what you’ll find there. Then, click and go. Thanks also to Cass from the Costumers’ Alliance for passing on this information. (Check out their links!) You can also find the Costumers’ Alliance on Facebook. That site led me to . 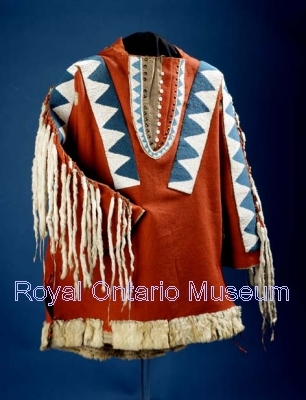 . .
Plains Cree shirt, 1876, at the Royal Ontario Museum.
. . . An extensive listing of museum costume collections that have been digitized, from all over the world! The site is Demode: [with an accent aigu on each ‘e’] Historical Costume Projects and Research Resources, Specializing in the 18th Century. Thank you, Demode, for sharing all this work! So amazing to see what is available to us online now!